What does it take to run an international humanitarian organisation? Conflict and disaster strike rapidly, and whether climate- or violence-driven, emergency humanitarian situations call for immediate action. Due to the destructive and abrupt nature of events, governments are often unable to provide the necessary response, leaving individuals and families dependent on civil society organisations to meet their most basic needs. Today, 135.7 million people are directly affected by a humanitarian crisis, meaning the work of humanitarian agencies and their ability to deploy rapidly and effectively is as vital as ever. But what does it take to operate an international humanitarian organisation? An organisation’s ability to respond rapidly and provide adequate assistance builds upon its team of experts. Since they are the first on the ground, having an experienced roster of experts allows an organisation to maintain the flexibility they need to deploy and to identify the needs and establish aid operations on the ground as soon as needs strike. MOAS, for example, has developed a modular design centred on maintaining deployable specialist units in our 3 main areas of technical expertise: emergency medical provision, Search and Rescue (SAR) and high-impact logistics. 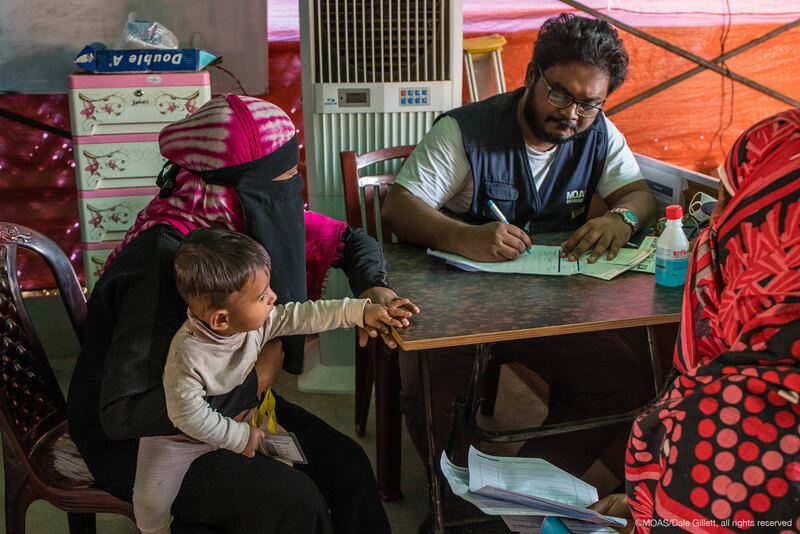 These areas are especially suited to the current, highly changeable international context and in Bangladesh have allowed MOAS to support the Rohingya through two medical aid stations and one sea mission. In addition to having a team of experts that can identify the most compelling needs, the distinguishing aspect of emergency humanitarian organisations is the need to be ready for deployment at any given time. When the exodus of Rohingya began on 25th August 2017, our technical and HR capacity allowed MOAS to rapidly adapt. 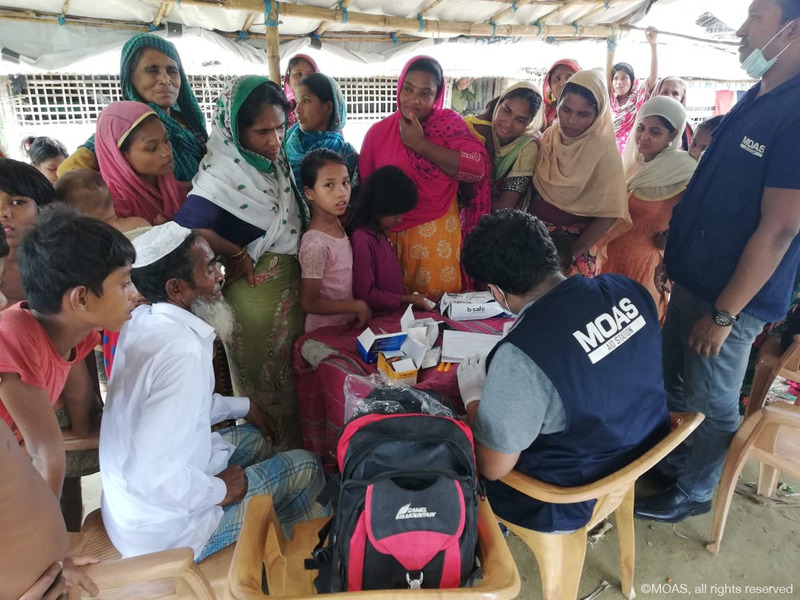 By 3rd September, MOAS had a logistics and operations team on the ground in Bangladesh, which was key in assessing the context, identifying pressing needs and creating an appropriate operational plan. On top of having the capacity to react to crises as they first strike, it is essential to maintain ongoing needs assessments to ensure operations are meeting the needs of beneficiaries. For example, MOAS’ modular structure allowed us to respond rapidly to developments in the operational environment when monsoon season arrived in Bangladesh. As the threat of landslides and flooding increased, MOAS deployed SAR specialists to conduct training in water rescue and safety and created mobile medical teams that allowed aid to reach people that were stranded and would otherwise not have had access to medical attention. Unlike development organisations, which tend to establish and run long-term projects in the countries where they are providing assistance, humanitarian organisations continually shift focus to where the need is highest. Their assistance cannot work around grant schedules or country-based projects: their goal is to offer aid in emergency situations as soon as the need arises, meaning they must be highly flexible. The sudden nature of their work makes sustained funding one of the biggest obstacles for organisations like MOAS. Given the exceedingly time- and resource-consuming nature of traditional funding mechanisms, MOAS has been able to offer life-saving assistance largely thanks to our pool of donors, allowing us to mobilise our team and resources to where humanitarian action is needed the most. The generosity of our donors has allowed MOAS to assist over 120,000 people, and they remain vital to ensuring the running of our programs and our ability to respond rapidly to unfolding humanitarian crises.